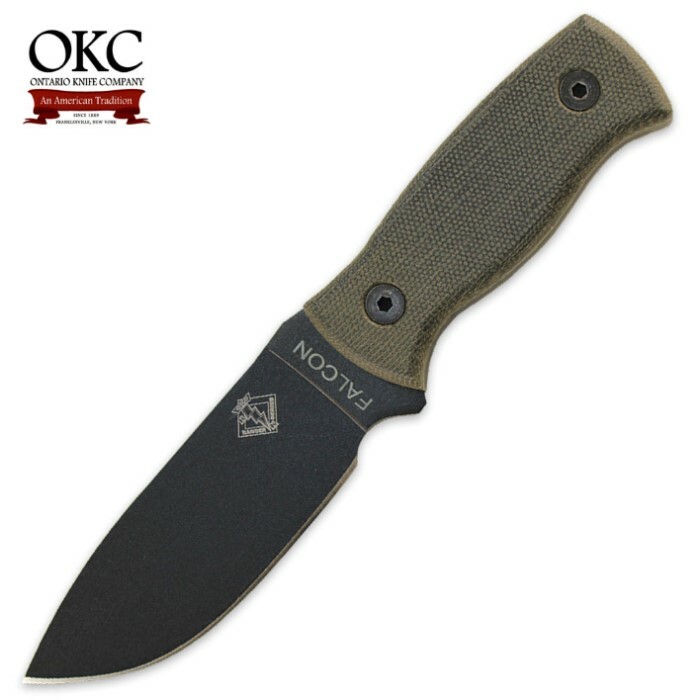 Ranger Falcon Combat Knife | BUDK.com - Knives & Swords At The Lowest Prices! The Ranger Falcon fixed blade is the first in the Ranger hunting series and it is the perfect hunting knife for small or large game. It has thick 4 1/4” carbon steel blade. A durable Micarta handle gives you a slip-free, comfortable grip, which is so important when cleaning game or working around camp. This hunting knife is made to last for generations of hunters. A MOLLE compatible black nylon sheath with edge protecting hard plastic insert and a roomy utility pouch is included. This knife is manufactured in the USA.